Heat olive oil in a large skillet. Add garlic and cook until fragrant. Stir in onion and saute for 3 minutes. 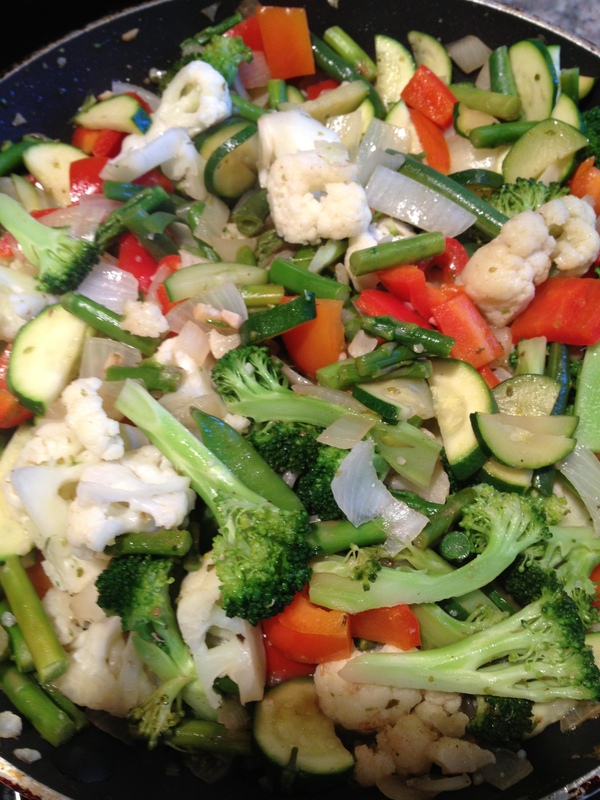 Mix in remaining vegetables and cook covered, stirring occasionally, until vegetables begin to soften. Serve as a side dish or over whole wheat pasta, or brown rice. Top with sauce if desired.